A long-controversial bid to change bitcoin just got a big boost. Boasting the support of tenured developers, a non-profit foundation called PoWx launched this week with the goal of putting a more sophisticated wrapper on the idea that proof-of-work (PoW), the way the network comes to agreement on which transactions are valid, could be replaced with a newer, supposedly better, algorithm. In short, PoWx advocates bitcoin adopt a new technology it calls “optical” proof-of-work, which uses a more energy-efficient laser technology as the cornerstone of mining. Not to mention, the developers behind PoWx are the latest to point to one mining firm, Bitmain, and its influence on the network as a major issue. 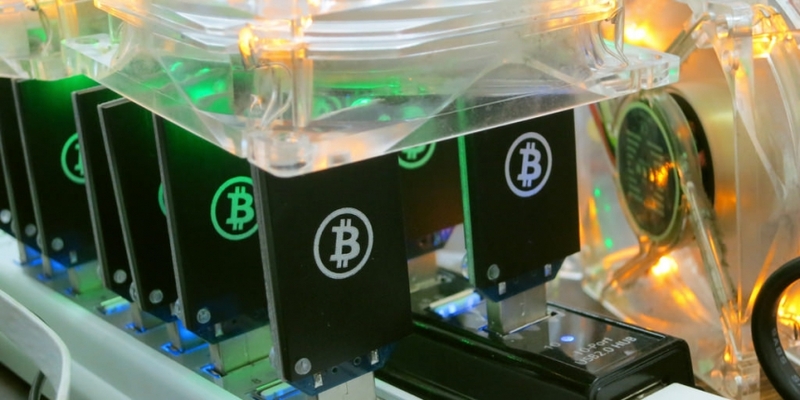 Though exact numbers are cloudy, estimates say the company is manufacturing between 50 and 80 percent of bitcoin’s mining hardware. Against this backdrop, the idea of swapping bitcoin’s mining algorithm has been around for some time, mostly flaring up in times of perceived crisis. It’s been seen almost as a last resort to be deployed only in the case miners do something really bad, such as colluding to attack the network. But PoWx founder Michael Dubrovsky sees the change as an inevitability. He calls mining centralization bitcoin’s “Seldon Crisis,” a specific type of earth-shattering issue found in the famous sci-fi series “Foundation” and which denotes a point of no return. To that end, they’ve argued that if this problem goes unaddressed, mining centralization might lead bitcoin to turn into something resembling the financial system it’s supposed to replace. So, to attempt to put this problem to rest, developers have put forth a variety of potential technical fixes. Dubrovsky grew interested in changing proof-of-work as a solution, deciding to work on the idea about a year ago as he became convinced optical PoW was the best solution. According to the PoWx team, this new algorithm, if implemented, would usher in two huge improvements to bitcoin. One, the barrier to entry for startups producing the chips will be lower, thus increasing decentralization of the network. Two, it reduces power consumption (estimates suggest bitcoin now makes up 0.15 percent of the world’s electricity costs). One hurdle though is PoWx has yet to secure fundraising. But their goals are nonetheless ambitious, vowing in the short-term to develop open-source hardware putting optical PoW into practice and to release a test network demonstrating their open-source design by Q1 of 2019. Although they’re putting plenty of thought into this idea, swapping bitcoin’s proof-of-work isn’t at all an easy task. It’s a pretty drastic change, one that would require every user to update their software if it was coded into a formal proposal. If a larger number of users were to disagree on the proposal (if and when introduced), bitcoin could even split into two different cryptocurrencies, similar how bitcoin cash broke off due to disagreement about the project’s technical direction. Still, it’s perhaps too early to say what users want – though the general idea has prompted outpourings of controversy, including lawsuit threats, in the past. And as bitcoin is a decentralized system, the opinion of users can make all the difference. But Dubrovsky argues there’s no choice – the community needs to make the change. As such, one of PoWx’s main goals is to work with the bitcoin community to make the switch. Finally, there’s always the question of whether mining will just centralize again, even after PoW is changed. However, Dubrovsky argues it’s unlikely. “It is not clear that OPoW could ever lead to the same level of centralization we see today,” he said. Still, he’s trying his best to look at the problem realistically, agreeing it’s unclear how PoWx will work yet. And, even if it does, he admits bitcoin could still have future problems.